Why is Chevy a Great Choice for Teens? If you are looking for a safe vehicle for your teen, then you might be inclined to turn your attention to Advantage Chevrolet near Bolingbrook. However, we think you’ll find the true Chevy advantage will be found at Chevrolet of Naperville. With the month of August, 2016 seeing a record number of U.S. teens turning 16 and getting their permits and driver’s licenses, the need for safe cars produced in 2016-2017 is more important than ever. Enter Chevrolet, the car company that’s taken it upon itself to personally grab the horns of this monumental endeavor, and make the road even safer for teen drivers and others. 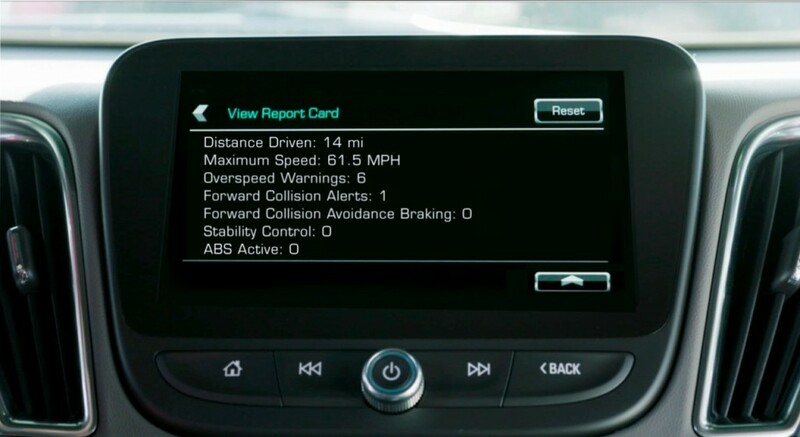 Chevy already had a one-up on the competition when it introduced the industry-first in-vehicle report card via Teen Driver technology. Now, the brand is bounding past the competition again, as Chevy decided to expand that Teen Driver safety technology to ten of its models in 2017. While the first vehicle to get it was the 2016 Chevy Malibu, Chevy is promising that the feature will be available on: the Bolt, Camaro, Colorado, Cruze, Malibu, Silverado, Silverado HD, Suburban, Tahoe, and Volt; and having those options is a lot more important than consumers might realize. Since the system will stem from the current Teen Driver system found on the 2016 Chevy Malibu, it only makes sense to look at how it keeps your teenager safe. To get started, all the parent needs to do is set a PIN and enter it to gain access to the Teen Driver menu through the Chevrolet MyLink display. Then, register a specific key so when a teen drives the vehicle with said key, Teen Driver technology enables various features that help the teen driver maintain safe driving habits. As the parent, you can set custom audible and visual warnings when the vehicle is traveling over a predetermined speed. If you know your teen is going on the highway today, it would be possible for the system to provide a warning to the driver if the car went over 70 mph (or whatever speed you choose), indicating that he or she should slow it down. You can also set a speed limiter, which alters the maximum speed the vehicle is allowed to go — 85 mph. That way, they get a warning when approaching 70 mph, and can’t drive the vehicle over 85 mph. Did you know that 93% of teen drivers play loud and distracting music while driving? That’s a pretty big number, and is a serious problem considering they can’t hear what’s going on around them. If you are worried about that, you can also set a limit on how loud the sound system will be. At the end of the day, it’s possible for you to pull up the in-vehicle report card to see all sorts of useful data, such as the distance driven, maximum speed, and overspeed warnings. It can even provide you with safety information, like the number of times Forward Collision Alert/Forward Collision Avoidance Braking was activated, the number of times stability control kicked in, and even ABS activation occurences. That way, you’re able to keep an accurate account of your teen’s driving habits, and help correct them when necessary. Teen Driver also comes with a few other important safety features, such as muting audio when front-seat occupants aren’t wearing any safety belts. Or even preventing active safety features that are equipped — such as Park Assist — from being turned off. While it’s unknown if updates will be made further before they are released on these ten prospective models — seeing as a smartphone app for the parent is an easily foreseeable future for this technology — what is clear is that your teen driver won’t be limited to the Chevy Malibu. Now, they will have plenty of models to choose from. These ten models make up most of the Chevy lineup, and it’s much more important to provide more vehicle options than you might think. Teenagers have different tastes when it comes to cars. Some might want a truck, others might even want an electric vehicle. While nothing can be done about the used models, it’s possible to make the newer Chevy models much more diverse and safer for teens. Providing different options makes it easier for parents to coerce their teen into a safer option. If your teen wants a Silverado to drive back and forth from school, and then use it for haul firewood or help out around the farm — he or she can have it. If that same teen prefers a fun muscle car to take out with dad on the weekends — so be it. Because now, the Teen Driver technology is available on the latest and greatest models Chevy has to offer. This means teenagers will be a lot more likely to drive a vehicle that has the Teen Driver technology on board if they aren’t forced to drive a single model. Instead, they can pick and choose what type of car they want to drive. Why is this such a big deal? 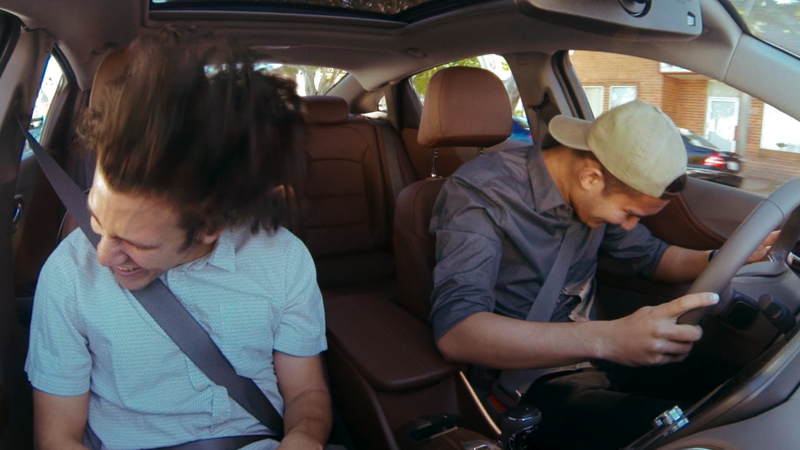 Chevy makes it a lot easier to get teenagers into vehicles that make them practice safe driving habits by limiting things like noise level and speed, while providing parents with ways to better keep tabs on their teenager’s driving habits. These efforts all help reduce the odds of an accident, making the roads safer for drivers of all ages. Motor vehicle crashes are the biggest killer of teens in America, according to data from the CDC. The Teen Driver technology takes the factors that are most likely to cause an accident when a teen is behind the wheel, and combats them. 35% of fatal crashes in 2013 resulted from teens speeding at the time, and teens of 2015-2016 have the lowest seatbelt usage of any age group. Not to mention, the first few months after receiving their licenses is the time when teenagers are most prone to crashes. Since August 2016 sees a record number of teenagers getting their permits and licenses this year, the chance for accidents is greater than ever. Don’t forget – this technology isn’t just protecting the teenager behind the wheel, it’s also protecting everyone else on the road — pedestrian or otherwise. Chevy deserves a pat on the back for taking the next step in safety with its Teen Driver technology, and hopefully other brands will follow suit to help make driving on the roads during the end of 2016 and start of 2017 even safer.